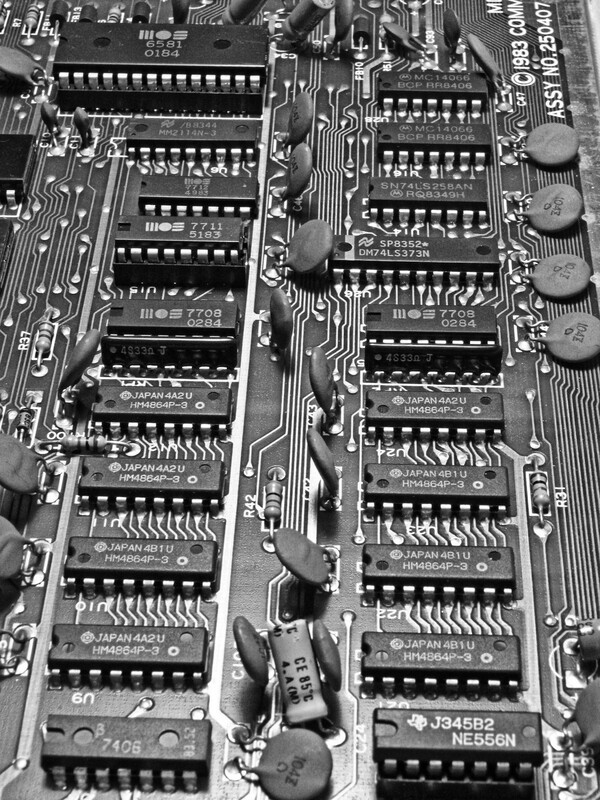 The C64’s memory chips. 64 kilobytes RAM and 20 kilobytes of ROM was all it needed. 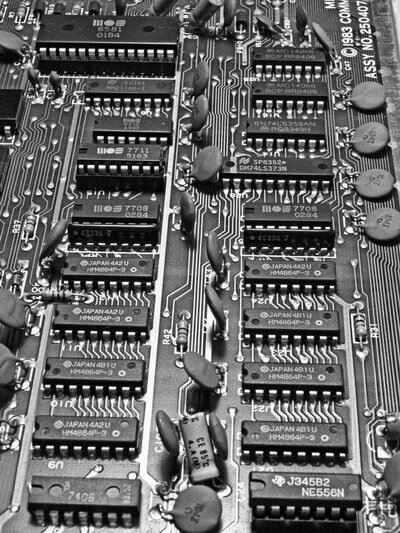 This photo alone is more than 10 times as large as the C64’s memory and would not even fit on a whole floppy disk!